In a rare open letter published Thursday, Apple chief executive Steve Jobs has detailed the technological reasons why his company refuses to let Adobe Systems' Flash Player onto the iPhone: he thinks it's a relic, not the future. 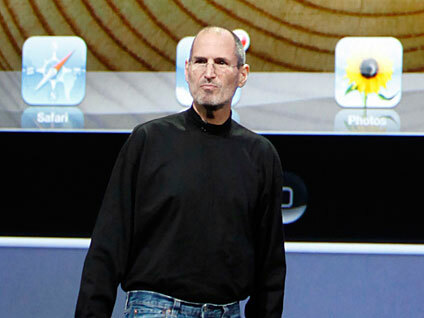 "Flash was created during the PC era--for PCs and mice," Jobs said in the letter. "New open standards created in the mobile era, such as HTML5, will win on mobile devices (and PCs too). Perhaps Adobe should focus more on creating great HTML5 tools for the future, and less on criticizing Apple for leaving the past behind." Jobs also knocked Flash for being proprietary, sapping battery power, not supporting multitouch interfaces, posing security risks, and being unstable. "Flash is the number one reason Macs crash," Jobs said. Flash Player, a programming foundation that's ubiquitous on computers, is widely used for tasks such as online games, photo editors, and video streaming, and with the upcoming version 10.1, Adobe is trying anew to bring Flash to mobile devices. The technology is designed to work on BlackBerry, Windows, PalmOS, Symbian, and Android phones. Adobe has been increasingly vocal about its dissatisfaction with the Apple situation, especially after Apple barred a new tool from Adobe that to let Flash developers turn their programs into native iPhone applications. Jobs struck back against Adobe's protestations with a list of six reasons Apple is opposed to Flash. The most important, he said, is that Apple refuses to be beholden to another organization's programming foundation. "We know from painful experience that letting a third party layer of software come between the platform and the developer ultimately results in sub-standard apps and hinders the enhancement and progress of the platform. If developers grow dependent on third party development libraries and tools, they can only take advantage of platform enhancements if and when the third party chooses to adopt the new features," Jobs said. "We cannot be at the mercy of a third party deciding if and when they will make our enhancements available to our developers." Adobe is working to improve Flash, notably on the Mac where the company has acknowledged its performance lags. In addition, Flash Player 10.1 adds support for multitouch, and a new Flash Player 10.1 beta can take advantage of Mac OS X hardware acceleration for for playing videos encoded with the H.264 technology. Jobs' open letters are unusual but not unknown. He also wrote about Apple and the environment and music. This article originally appeared on CNET News.com. Stephen Shankland writes about a wide range of technology and products, but has a particular focus on browsers and digital photography. He joined CNET News in 1998 and has also covered Google, Yahoo, servers, supercomputing, Linux, other open-source software, and science. E-mail Stephen, follow him on Twitter at http://www.twitter.com/stshank, or contact him through Google Buzz.